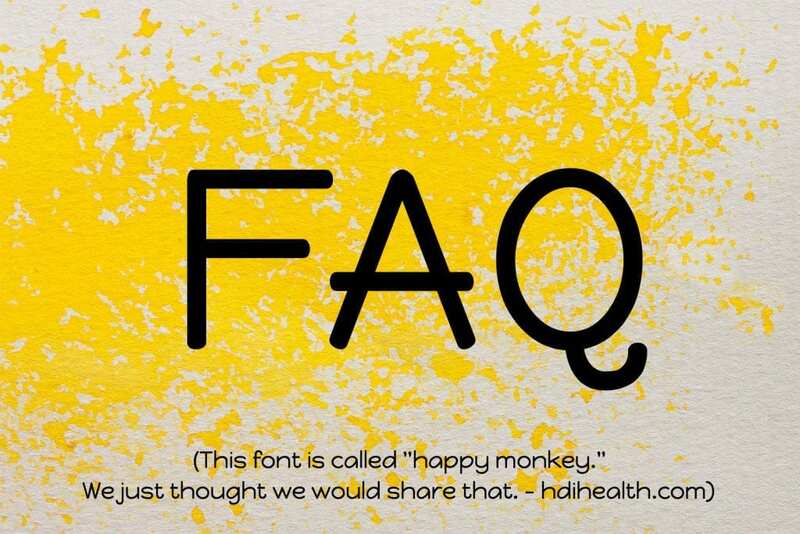 Frequently asked questions for those considering the HCG Diet Plan for weight loss. 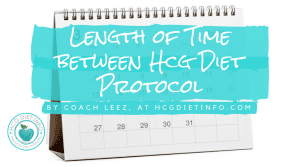 If you are already following an HCG Diet Plan, you may want to read our Protocol FAQ which includes more advanced topics for individuals already familiar with the basics. 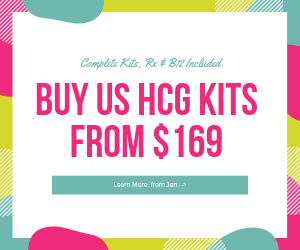 HCG stands for Human Chorionic Gonadotropin, a pro-hormone naturally produced in men and women, but produced in large amounts by pregnant women. HCG largely influences the metabolic function of the body by stimulating the hypothalamus. The HCG used for HCG diet Plans as well as any other medical treatment, is a synthetic version, created in sterile laboratories. The amount of HCG used in injections and drops is an extremely small dose compared to that used for fertility treatments and other hormone therapies. Yes, it is. While the FDA does not support the 500 calorie diet of the original protocol, nor homeopathic HCG (over the counter HCG) there is increasing support for the NEW HCG Diet Plan, its use of HCG for weight loss hormone therapy, and its higher calorie allowances. Additional notes: Real HCG MUST be prescribed by a licensed medical doctor or nurse practitioner. It is NOT advised to purchase HCG from overseas, where standards and quality are not monitored by the FDA’s strict standards. 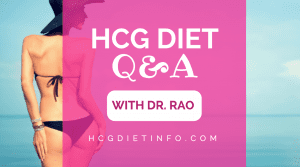 Who is considered the ideal candidate for the HCG Diet Plan? What are the side effects of HCG Diet Injections and drops? There are rarely HCG side effects reported while using injections or drops for weight loss. 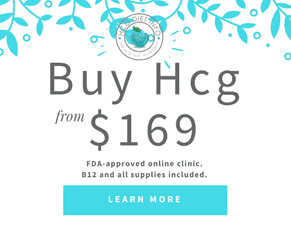 When HCG injections are used for fertility treatments, the larger amount is known to cause occasional headaches, and pregnancy symptoms as well as a number of other issues. However, the amount differences between the hCG diet protocol and hCG used for fertility purposes is significantly different in quantity. Occasionally, HCG Dieters (particularly those on the original protocol) will report feeling headaches, lightheadedness, and hunger. These side effects tend to be from the protocol and not the HCG, in most cases, and can be corrected by food and menu adjustments. Feeling Hunger on the HCG Diet. HDI conducted a poll that included over 7,000 HCG dieters. The results showed an average loss of .5 to 1 pound per day on average, the some losing as much as 3 pounds in one day. It is important to note however, that everyone is different and results may vary based on individual’s protocol, food and recipe choices. Results can also be influenced by the individual patient’s own body chemistry, and level of activity while on the protocol. What is the hypothalamus gland and how is it affected by the hCG hormone? The hypothalamus is the gland that moderates the thyroid, adrenals, fat storage, and overall metabolic rate. HCG largely influences the hypothalamus. The hCG hormone is present in men, naturally. In fact, it is present in every human tissue, including males and non-pregnant women. It is most present in pregnant women and is produced in large amounts throughout pregnancy. Millions of men have used the HCG diet to lose weight successfully and without issue. What preparations are required for hCG diet injections? Prior to treatment, your physician or practitioner will perform a general health assessment. Read more about Getting Started with the HCG Diet Plan. Is it healthy to lose a pound a day with hCG diet injections/drops? HCG results in rapid weight loss from adipose fat tissue, while stimulating the body to maintain lean muscle mass. Since the weight loss comes directly from unhealthy fat it does not strip the body of much needed muscle, vitamins or minerals essential to maintain good health. Following the NEW HCG Diet Plan, you are also eating well, if not BETTER than you were eating prior to starting the diet. This helps nourish the body while you are losing weight. How painful are hCG diet injections? The hCG Diet injections for weight loss are administered using a very small, very fine needle, in areas of the body that are not overly sensitive. Most HCG Dieters report the injections to be relatively painless. A commonly used tip for making injections unnoticeable: a quick “smack” to the area, followed by immediate sanitizing with an alcohol swab, and then the needle, generally does the trick. The “smack” confuses the nerves for a matter of seconds, leaving them unable to readily register a small amount of pain. For those who are still unsure of using injections, HCG Diet Drops are available. We recommend a few providers that offer complete HCG Diet Drop programs on our Buy HCG page. 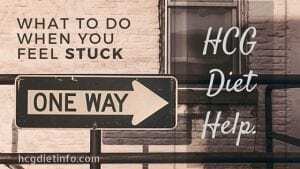 Where Do I Inject hCG Diet Shots? The easiest and most comfortable place to inject is in the stomach, about 2″ out from the naval and about as far down on either side of the naval. hCG diet injections can also be administered in the back of the arm or thigh. About the 500 calorie diet – VLCD (very low calorie diet )? The 500 calorie VLCD (very low calorie diet) is no longer recommended. While it has proven to work, it is extremely challenging with countless side effects such as lightheadedness and headaches. The NEW HCG Diet Plan includes a much higher calorie intake based on the individual dieter’s BMR. Surprisingly, this has shown to have an even higher success rate, simply because it allows the body to work more efficiently. It also allows the individual to include an exercise routine, and a more expanded food list. That means, far less challenges staying on the protocol and the opportunity to learn lifelong healthy living habits WHILE losing weight! It is NOT recommended to buy hCG from overseas pharmacies for a number of reasons: Read, reasons NOT to buy hCG from overseas in the HCG Buying Guide. For those who are willing to suffer the risks of buying HCG from overseas pharmacies: While it is recommended to check for updated amendments to the federal importation guidelines, as of January 2014, it is still legal to import hCG for personal use. An individual supply of no more than 3 months is generally acceptable for meeting the “personal use” standard. Resale of imported pharmaceuticals is a federal offense. Hunger should be considered an unacceptable side effect of the HCG Diet Plan and should be addressed. If you are on the original 500 calorie menu by Dr Simeons, it is highly recommended that you change over to the NEW HCG Diet Plan and raise your calorie intake. Not only has this been shown to have a higher success rate, it has also been proven to have far less challenges including feeling hunger. 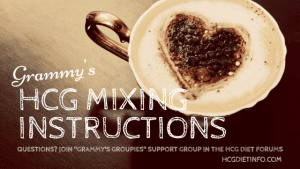 If you are feeling hunger on the NEW HCG Diet Plan…. if this is one time, then you will want to EAT SOMETHING as described in this article: Hungry on the HCG Diet. If this is a recurring issue, you will want to double check your diet foods. It is highly possible a culprit-ingredient has slipped your eye. This is particularly common if you are eating out since many restaurant foods include unseen ingredients. If you are certain your diet foods are spot-on, you will next want to check that you are drinking enough water- dehydration can stimulate your body to send signals of hunger. Ditch caffeine and anything containing aspartame as these can also stimulate hunger feelings. 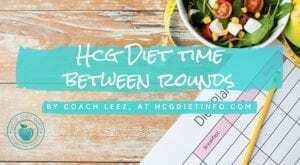 Meal times can also be addressed but when all else fails, it is time to address hCG dosage. In very rare cases, you may require less hCG for your body’s particular needs. Possibly the greatest benefit of the NEW HCG Diet Plan, is the opportunity it gives dieters to learn healthy living skills. The truth is, the Maintenance phase begins BEFORE phase 3. It begins the minute you start the diet, even in Phase 1, the Loading phase. This is because you are immediately learning what it takes to “live thin.” This includes, learning to read ingredients out of habit, understanding the differences between different kinds of fats, recognizing truly unhealthy foods (put that rice cake down) and focusing more on nourishing your body rather than restricting it. After the HCG diet, you will not only have lost physical mass, but former HCG Dieters also report a change for the better in appetite, and naturally modified eating habits. If you have implemented a consistent exercise routine, you will also notice a continued increase in metabolism; a common occurrence and one main reason HCG Dieters report difficulty gaining weight after the diet. Ready to learn more? 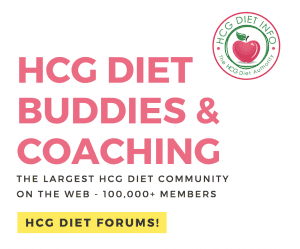 Check out HDI’s Official Guide to the HCG Diet Plan.